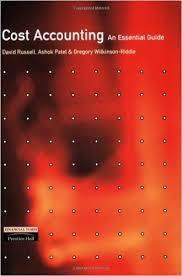 245 1 0 %a Cost accounting : %b an essential guide / %c David Russell, Ashok Patel, Gregory Wilkinson-Riddle. 260 %a Harlow : %b Financial Times Prentice Hall, %c cop. 2002. 300 %a X, 184 s. : %b il. ; %c 24 cm.